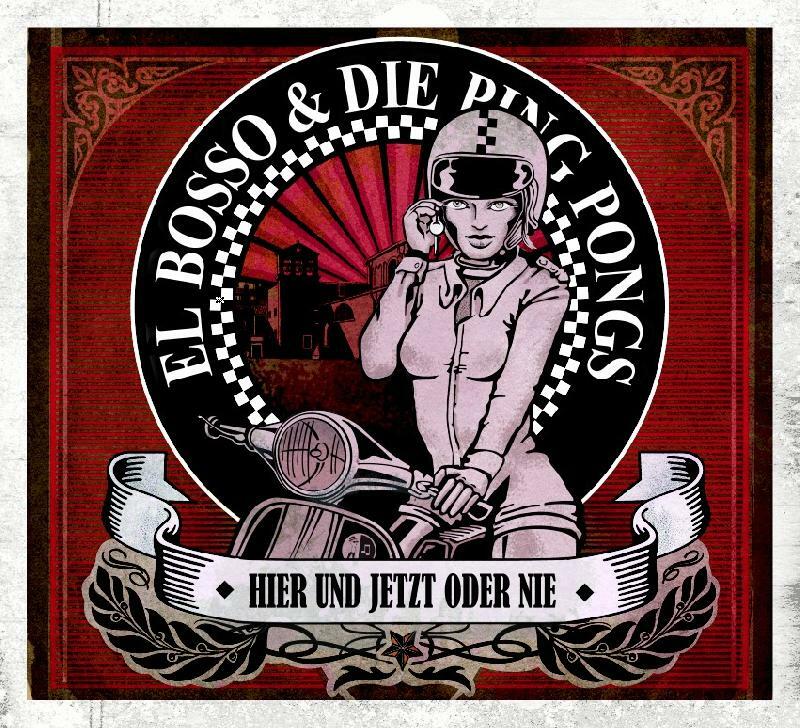 With their new release HIER UND JETZT ODER NIE (also the album title track) EL BOSSO THE PING PONGS celebrate their very own party hedonism with twelve great new anthems. Musically and lyrically we can find here once again, what we have always loved about this band. Beautiful Party songs like BIS ZUM NÄCHSTEN TAG (till next day), the opener EGAL (no matter) the oldschool style and danceable TANZ TANZ TANZ or the Catchy instrumental BRUTUS. As for the lyrics, we enjoy ourselves with delightful ironic stories à la REICH ABER GLÜCKLICH (wealthy but happy) or the macabre lyrics of EINSAME LEICHE(lonely corpse).